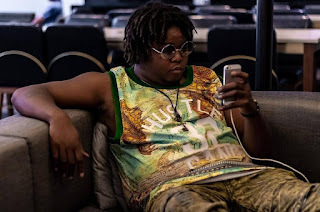 Mississippi, US underground rap sensation, Drevo Coolidge caused a bit of pandemonium in the world of underground hip hop last week when his new single was scheduled to be released but for some reason was no where to be found. If you were one of those crazed fans that was left biting your nails helplessly after searching everywhere online and not finding the new single, you can rest now because it's available everywhere you probably previously checked and in a lot more places like Pandora. There was no official explanation for the delay but Coolidge did apologise for it. As expected, the single surpassed everyone's expectations even after hearing several sneak peeks and previews that gave us an idea of what to expect. Now Coolidge is on to his next move, and there is talk of a US promo tour.